Marin Votes. Image by the author. Last night was a big win for Democrats throughout the country, with wins in Maine, Virginia, New Jersey, and elsewhere around the country. In Marin, 20 nonpartisan seats to community service district (CSD) boards and municipal councils were up for grabs. Though the geographic analysis will have to wait until precinct results are in, a quick rundown of results is in order. I am still working through the results from the various initiatives, so an individualized workup of those will be coming soon. For the moment, though, the clear winners seem to be incumbents and progressives, with anti-development candidates in Novato, Fairfax, and Sausalito failing to garner traction. This implies Marinites are, on the whole, happy with how things have gone recently. The anger over affordable housing and regionalism seems to have largely subsided at this point. However, there also does not seem to be strong enthusiasm for change. Progressives won in open seats but failed to oust any anti-development incumbents. While this may be due to the inexperience of candidates – especially in Novato – the results mean that rapid change is not on the table. While YIMBYism makes a big splash in the urban politics of California and the Bay Area, Marin is taking it easy. Incumbents Pat Eklund and Denise Athas soared to victory over challenger Kevin Morrison with 37 percent of the vote over Morrison’s 24 percent. Newcomer Morrison ran an explicitly anti-Eklund campaign, calling himself the candidate of “Yes” and her the candidate of “No.” That she came in first shows both her political chops – at least relative to Morrison’s – and the difficulty in dislodging a 22-year incumbent in Marin without at least some government experience. Morrison argued for a better transit system and more investment in downtown. Though he said he was in favor of a more positive political tone in the city, he also benefited from strongly negative attacks on Eklund’s character in office, with former city managers and a police chief pointing to her creation of a toxic work environment as the reason for their resignations . Though Eklund was the focus of the council race, Athas’ policies are often in contradiction to Eklund’s. Athas was endorsed by former supervisor Steve Kinsey and by TAM Chairwoman and Mill Valley councilmember Stephanie Moulton-Peters, both of whom support policy goals at least somewhat in line with Morrison. More than a vote against an agenda, then, Novato’s election may have been more of a vote for consistency. Despite a challenge from a Citizen Marin slate, incumbents remained firmly in place, taking roughly 19 percent of the vote each. Newcomer Bruce Ackerman, a former planning commissioner, ran a campaign for new infill homes, trumpeting his support for the low-income Victory Village development. The Citizen Marin candidates, Deborah Benson and Charles Cornwell, earned 14 percent and 12 percent respectively. They ran on an anti-housing message, saying the town needed to fight what they termed over-development. Citizen Marin has opposed affordable housing projects in the past. It’s interesting that the Citizen Marin slate underperformed in Fairfax relative to Frank Egger’s supervisorial results. Egger came in a strong second place in Fairfax against Katie Rice and garnered 24% of the vote overall. It may be that original motivating platform of the group – fighting against regionalism, affordable housing projects, and alternatives to driving – no longer resonates in Fairfax. Incumbents Kay Coleman and John Wright kept their seats on the town’s council, with 24 percent of the vote each. They will be joined by town Economic Development Committee member Brian Colbert, who came in first with a strong 26 percent. Steve Burdo, a former political consultant who ran and lost in the past, came in fourth place with around 20 percent of the vote. Newcomer Tom King, who apparently advocated for making council seats paid, full-time posts, garnered just 5 percent. Colbert ran on a platform of economic development, highlighting his role on the committee, and civic engagement. Political activists I reached out to called him progressive on housing and transportation issues, putting him in the same boat as Fairfax’s Bruce Ackerman. Although Burdo stacked up an impressive line of endorsements, including the county’s Democratic Party, the Sierra Club, supervisors, and councilmembers from San Anselmo and elsewhere, it was not enough to put him over the top. Both David Kulik and Holli Thier retained their seats in this sleepy election, with challenger Jack Ryan coming in a distant third. All three advocated for revitalizing downtown, preserving open space at the tip of Tiburon Peninsula – where a 43-home subdivision is planned – and creating non-car alternatives for movement in and out of town. Perhaps with such agreement among candidates, Ryan simply couldn’t make a good case why he was a better choice than either Kulik or Thier. 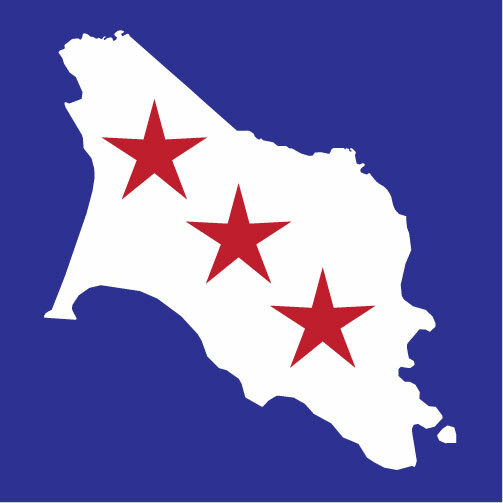 Susan Cleveland-Knowles, chairwoman of the Sausalito Planning Commission, coasted to victory for Sausalito’s seat with 48 percent of the vote over Bill Werner’s 30 percent and Melissa Blaustein’s 22 percent. Cleveland-Knowles is a ferry commuter so would be directly impacted by the Sausalito Ferry Terminal project that the town has objected to for years. One big point in her favor is her explicit support of the project, rather than the “Let’s just move on” rhetoric of Werner and Blaustein. Her campaign materials are silent on the issue of new homes, but she had the backing of progressives like the Marin Democratic Party and TAM chairwoman Stephanie Moulton-Peters. Werner was backed by former councilwomen Linda Pfeifer and Carolyn Ford, both of whom were strongly backed by Citizen Marin. He also called Golden Gate Transit a bully regarding the ferry dock and pledged to push back against state housing mandates. His vote total is nothing to sneeze at in a broader race, as 30 percent is more than enough to win one of two or three seats open seats, but it might indicate a ceiling of support for this platform. This tight race is still in flux, with just 23 votes (as of November 9) separating the third- and fifth-place winners. As of now, it looks as though incumbents Royce McLemore and Donald Parker retained their seats with 19 percent and 16 percent of the vote, respectively. Challenger Terrie Harris-Green may have won a seat with 19 percent of the vote, which would unseat incumbent Gerald Norman, who is currently in fifth place with just 14 percent. McLemore, Harris-Green, and fourth-place Damien Morgan ran on a slate opposed to the reconstruction of the neighborhood’s public housing and opposed to a particular financing scheme to renovate community support buildings. Parker, Norman, and challenger Ken Matejka ran on the opposite platform. The IJ and CBS do reasonable jobs explaining some of the details. With no candidate getting even one-fifth of the vote, the result shows a split of opinion in the community. No matter who wins, it will hardly be a ringing endorsement of their platforms, and significant outreach will be needed to secure whatever future the community decides upon. In a shift from the rest of the county, where incumbents seemed to do quite well on a platform of incremental change, Muir Beach turned back the clock. Former community services district board members Leighton Hills and Steve Shaffer won seats with big margins: 31 percent and 28 percent, respectively, over just 15 percent for the third-place finisher, incumbent Peter Lambert. Tied for last were incumbent Lynda Grose and newcomer Frank Schoenfeld, who each got just 13 percent. According to the IJ, the main contention in the village was financial management. The board was mulling whether to double its bimonthly water rate from about $50 per household to almost $100, it says to pay for deferred maintenance. Lambert, Grose, and Schoenfeld ran in support of the increase. Shaffer and Hills argued the board was mismanaging its finances, and that the increase was unnecessarily large. It seems their argument won out. Richard Halstead, “Novato Council Race Turns into Brawl as Ex-Officials Assail Veteran Councilwoman Eklund,” Marin Independent Journal, November 2, 2017.